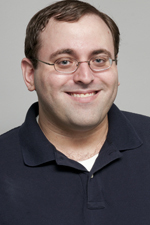 Matthew Boxer, PhD, is a research scientist at CMJS and SSRI and a principal investigator for our community studies. Below he discusses our unique approach to this research and the potential such studies represent. CMJS/SSRI has become increasingly involved in Jewish community studies in recent years. Can you tell us a little about why these studies are important? Community studies have been one of the most important ways that the American Jewish community understands itself. CMJS/SSRI has long been involved in these studies and our new emphasis on this work is a way to bring modern methods to the study of Jewish life. Our goal is to understand the growth of communities and, most importantly, the needs, interests, and Jewish engagement of community members. We learn where the Jewish community is successfully providing services that meet members’ needs and where there are still gaps. Ultimately, our goal for these studies is to help the community strengthen itself where it is already strong and improve itself where there are challenges. Having high-quality data is essential to this effort. Your reference to data leads me to my next question. Are there unique aspects to the CMJS/SSRI approach to community studies? Yes! We have developed a set of new methods to estimate the size of Jewish communities more accurately than can be done using traditional approaches. We turn to our Steinhardt Institute meta-analysis research program, which synthesizes data from nationally representative surveys of the US population, to produce estimates of the local Jewish population. In addition we use data from our JData project, which provides census-like figures about participation in Jewish educational programs, to calibrate survey results and ensure that we don’t overestimate the most engaged members of the community or underestimate the unaffiliated. Alongside the survey synthesis for population numbers, we field a comprehensive survey to everyone with a name on any of the community’s membership lists. The result is a study with extremely accurate population estimates without the fallout from excessive costs and/or methodologically problematic techniques. By not having to do a screener, we are able to focus our resources to better understand the characteristics of community members. We also spend a lot of time talking to people in the community finding out what they want to know. Rather than reuse surveys for multiple communities, we customize each community’s survey based on the information we gained during our investigation and meeting process. Has this approach resulted in findings that you might not have discovered using other techniques? Our estimates on population size may be comparable to those found by others, but in part because of our data synthesis techniques, we have more confidence in the estimates. In addition, we are able to use these resources we would have spent screening large numbers of non-Jews to have large samples. This both reduces our sample error—it makes our estimates more precise—and allows us to do analyses of subpopulations (e.g., children of intermarriage) or more in-depth examination of particular issues (e.g., synagogue membership). You recently co-authored the Greater Seattle community study. What was the most surprising finding from the study? Seattle is an extraordinary community that is growing quickly. It has had had an influx of young and highly educated Jews. What was somewhat surprising is the breadth of Jewish programs and activities available in the community. Although many participate, the community also has a large number of unengaged individuals. The community has tremendous potential, and it has to figure out how to grow and engage newcomers, as well as serve its long-time community members. It has been very rewarding to work with the community to help them appreciate their potential to engage new members and to leverage their resources to promote Jewish life in the Seattle area. CMJS has done community studies in Boston (2005), the Berkshires (2008), Western NC (2010), Greater Buffalo (2013), and Greater Seattle (2014). Are there any other studies in the works? We have surveys about to launch in Nashville and Boston. It’s a lot of work but are looking forward to seeing and sharing the results! For more about community studies, including discussions of our methodology, please visit our community studies page. This entry was posted in Community Studies, Demography, Researcher and tagged community studies, demography by cmjseditor. Bookmark the permalink.